A new way to incorporate roses into your wedding? How about these fashion forward black crystal tattoo rose tights? Of course to flash these pretties, one would have to wear a short dress - which wouldn't be that bad! Any takers? Tell me where to get these, please!!! 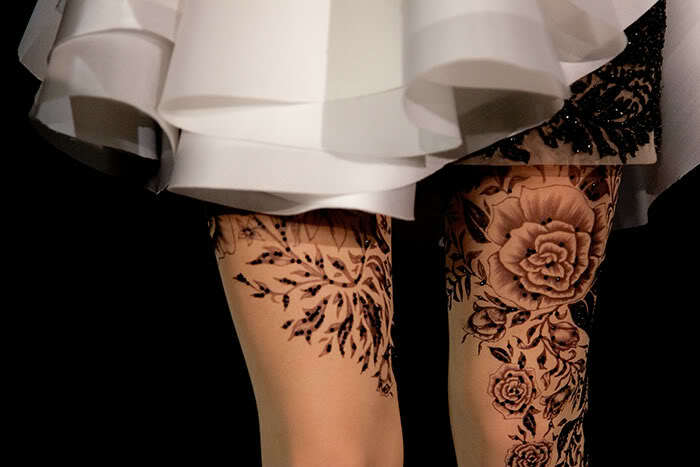 they're from Marchesa's Fall 2010 collection!